"As a former Search & Rescue (SAR) helicopter pilot with over a decade of service throughout Alaska, I can say with some authority the Alaskan environment presents some of the most unforgiving maritime conditions one can ever expect to encounter. Equipping yourself with the very best equipment and prudent planning is your best insurance to assure a safe and uneventful trip. The Alaskan environment presents one with enough logistical and weather related challenges. 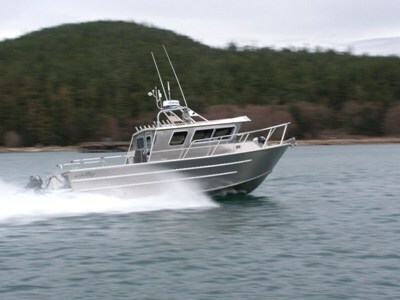 Having to worry if your boat is up to the task is completely eliminated when you own a Seawolf. My family and I love the outdoors, and hunting and fishing are my passion. Nothing, absolutely nothing, comes before the safety of my family. Owning a Seawolf boat has provided my family and I hundreds of pleasurable hours in pursuit of our outdoor passion in comfort and safety. Our boat has served us well from the routine 'day trip', the 5 day hunting trip, to the 10 day venture throughout south east Alaska. This boat has routinely exceeded our needs. I purchased my boat over 13 years ago and she looks and runs almost as good as the day she was purchased. I have no doubt I will be fishing with my grandchildren from this boat 20 years from now. As Stennar states, 'these boats are designed to last many lifetimes'. I can personally attest that is an extremely accurate statement. Should you be in the market for an exceptionally well built boat with unsurpassed craftsmanship, superb sea-keeping attributes, and a comfortable dry ride - look no further. These are truly one of a kind custom built boats - no two are identical. They are built one hull at a time by a very small cadre of uncompromising and highly skilled craftsmen. " "All the charter boats turned around, yesterday, weather too tough---but not too tough for the Seawolf. I promised myself that I was going to be a fair weather fisherman. Now, after 37 years of eating the big (waves) green ones, somehow, can't escape the compelling desire to be "out there" when no one else is, your boat makes all that possible." "Everywhere I take my Seawolf, it gets noticed...often touched. Mechanics and and surveyors comment on the meticulous way the boat is welded and put together. One mechanic made sure his wife saw it, and told her "that's the boat I want when I retire." Fisherman and charter operators offer to trade me their boats plus pets and family members. The bottom line is that the boat is well-designed, well-built, and performs superbly. 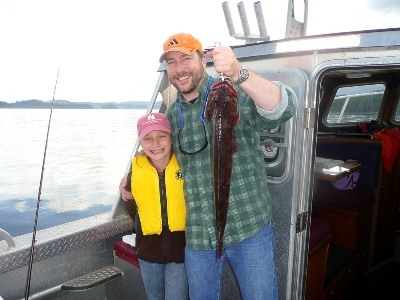 I wouldn't trade the experiences I've had on my Seawolf with family and friends for anything." "When my husband was looking at upgrading boats we looked at all types of models and manufactors. My husband thought that I would want a fiberglass boat since most aluminum boats are very bare-boned when it comes to the interior finishes. He was right until we found Seawolf. It had all of the benefits of an aluminum boat but it had something the others lacked. It was quality inside and out. When I’m in our Seawolf I feel comfort, coziness, beauty, and quality. It suits both my husbands wish for a rugged, well built fishing vessel and my wish for a boat that I could actually see myself and my children comfortably camping in." "Why did I buy a Seawolf? Two words sum it up.....durability and craftmanship. As they say in the auto ad, it's "Built Tough". As for craftmanship, look behind the panels and under the deck plates, the attention to detail is fantastic. 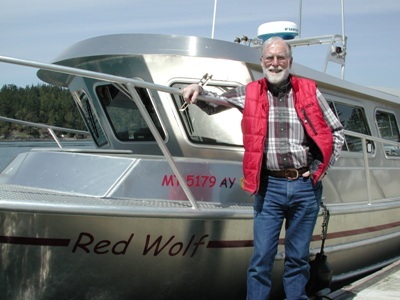 I LOVE MY REDWOLF (Seawolf)"
"Over the last 35 years we have owned 6 boats. Two of them have been Seawolf boats. The boats by Seawolf were perfectly designed for our use, extremely reliable, of excellent quality, and the after sale service was beyond our expectations and second to none. We cannot say enough about the passion and care that Seawolf builds into each of their boats. We have never had a more pleasent boat buying experience or owned a boat that met our expectations better. We recommend Seawolf highly." "Repeatedly when I've discussed boats with folks who've gone with other builders they recite a litany of items on the boat that weren't perfect fit/finish-wise...refrigerators not bolted down, electrical issues. One owner had even PAID to have the boat (sea) trialed by the shop before delivery...and still saw issues. Zero issues with Seawolf-everything tight, functional and seaworthy upon delivery. They may cost more than other makes...but the best usually does."